Jasco PU-1580 C02 Delivery Pump HPLC Intelligent HPLC . New Life Scientific, Inc.
Pump head cooling unit which maintains temperature of the pump heads below -4 °C via an electric cooling method. The PU-1580 CO2 delivery system is in good cosmetic condition. The product does not include accessories, but the power cord will be included and the LC-net cord attached (not tested). New Life Scientific will sell this product for parts, because we cannot confirm its functionality. This product was tested to power on only and the product appeared to initialize. The technicians were unable to perform further testing and were unfamiliar how this instrument should respond or behave in a system. 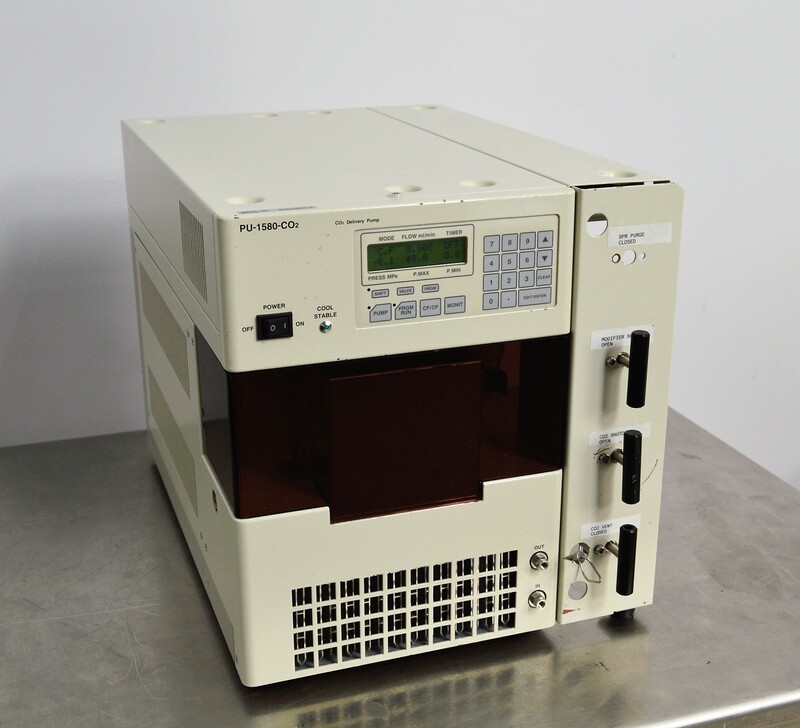 This product will be sold for parts and the user should note that NLS only powered it on; we cannot confirm the extent of functionality or the effort needed to correctly include this in an HPLC system because there are no maintenance records. Our products have likely been decommissioned and decontaminated by the original owner. However, in order to maintain a high standard of safety, all products are professionally decontaminated with a water/bleach mixture, as well as other cleaning agents. New Life Scientific will not offer returns on this instrument.